The existing housing stock plays a major role in meeting the energy saving targets set in the Netherlands as well as in the EU. Existing buildings account for 38% of the final energy consumption in the European Union (EU), and they are responsible for 36% of the CO2 emissions. Energy renovations in dwellings offer unique opportunities to reduce both energy consumption and greenhouse gas emissions. 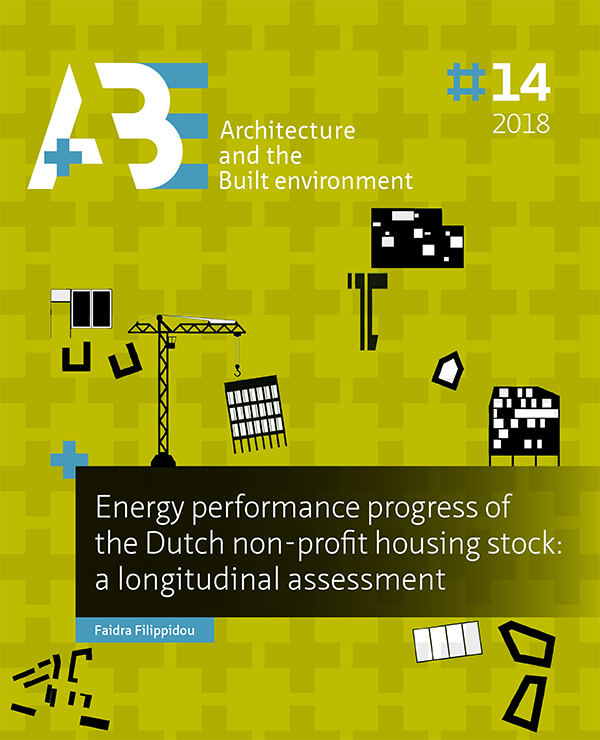 In this article, the renovation rates for the non-profit housing stock of the Netherlands are presented, based on the changes in the energy performance of 856,252 dwellings for the period of 2010 to 2014. The data necessary are drawn from a monitoring system that contains information about the energy performance of approximately 60% of all dwellings in the sector. The method used follows the changes of the dwellings’ physical properties and reported energy performance. The results show that although many energy improvements have been realized, they result in small changes of the energy efficiency of the dwellings. Deep energy renovation rates are very low. If this pace continues, the progress is too little to reach national and international policy targets. The renovation rates are not high enough and the trends seem difficult to reach. FILIPPIDOU, Faidra; NIEBOER, Nico; VISSCHER, Henk. Are we moving fast enough? The energy renovation rate of the Dutch non-profit housing using the national energy labelling database. A+BE | Architecture and the Built Environment, [S.l. ], n. 14, p. 83-110, dec. 2018. ISSN 2214-7233. Available at: <https://journals.open.tudelft.nl/index.php/abe/article/view/3550>. Date accessed: 26 apr. 2019. doi: https://doi.org/10.7480/abe.2018.14.3550.